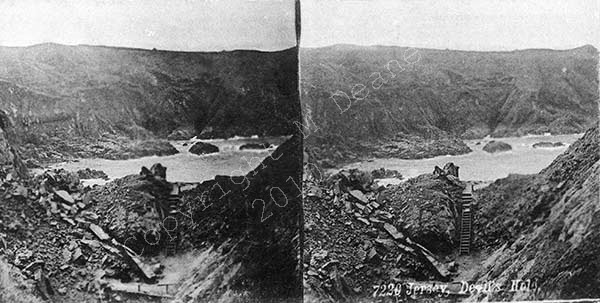 Not all Guernsey stereograms can be attributed to a photographer - some have names on the back and some don't. T.B. Hutton and T. Singleton both used yellow background mounts, and also were very shy in placing reference numbers on them. shown below are a few variations of pasted back used.